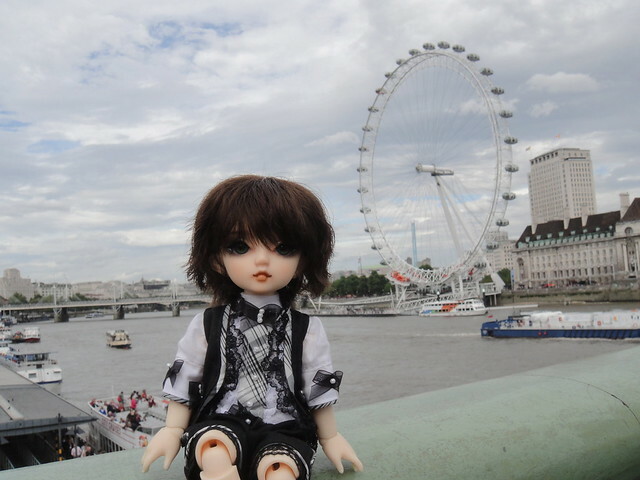 London weather is so unpredictable! One moment it can be sunny and the next the sky is grey and it can start to rain! 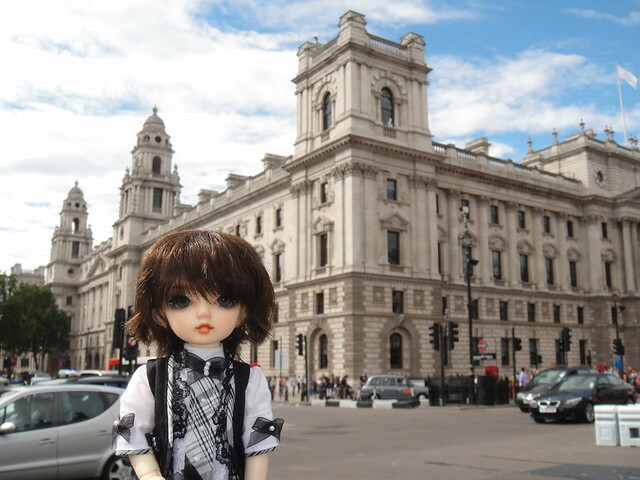 The architecture is really beautiful here! 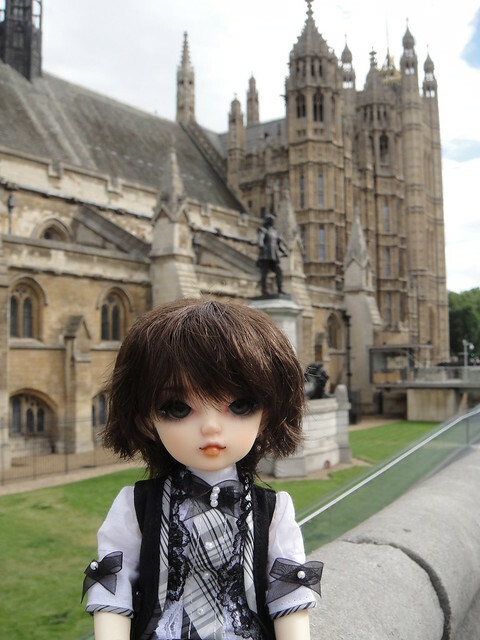 The House of Parliament is a really big building! I walked around it and then had to take a break. The view from across the street is very nice too. 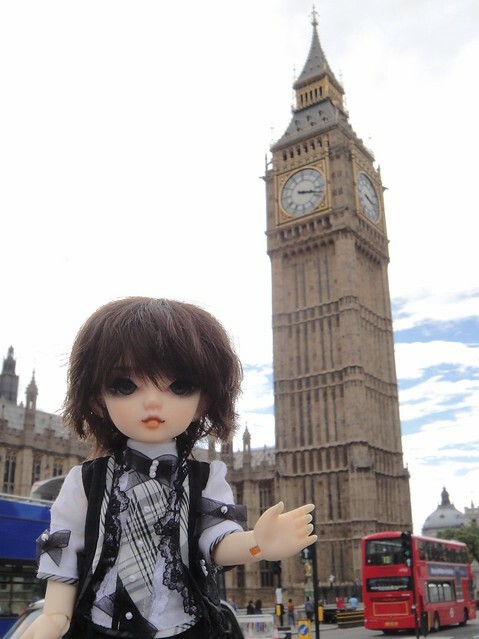 You can see Big Ben and the London Eye! 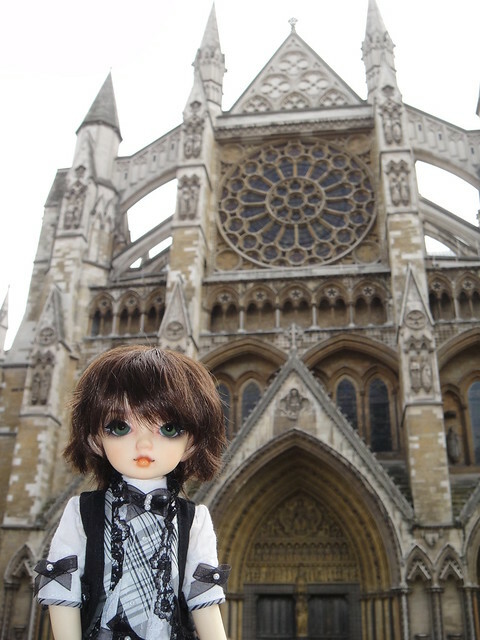 Next to the House of Parliament is Westminster Abbey. There are many famous people buried here – but nowadays most people recognize it because Prince William married Kate Middleton here last year. 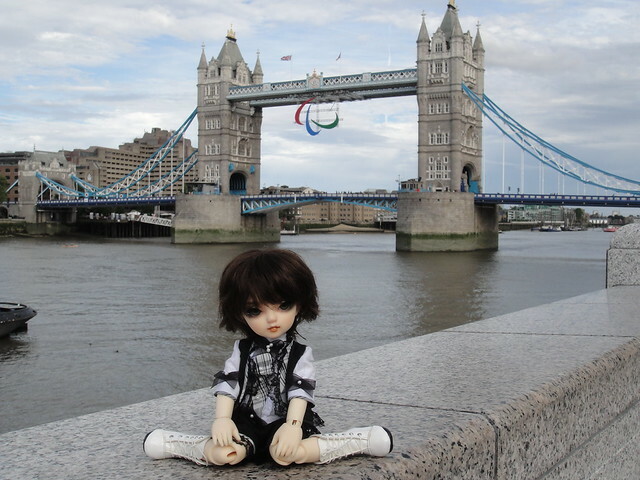 Whoever wrote that song about London Bridge falling down was totally wrong! There it is! The Olympic Games are over, but the Paralympic Games are starting! That’s the logo mounted on the bridge. I think that you spent too much time in the heat in Los Angeles! You fell asleep in the photo space! 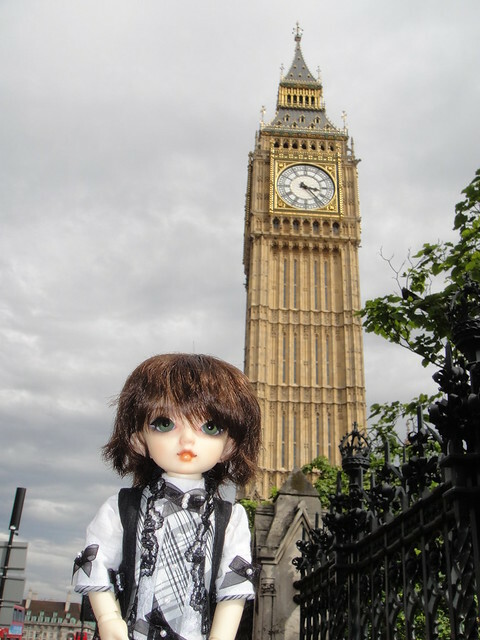 Hehe – I hope you enjoyed Sora’s little adventure. 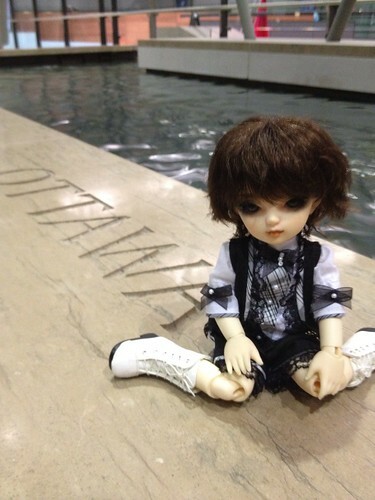 Here’s a photo of him at the airport in Ottawa, Canada. 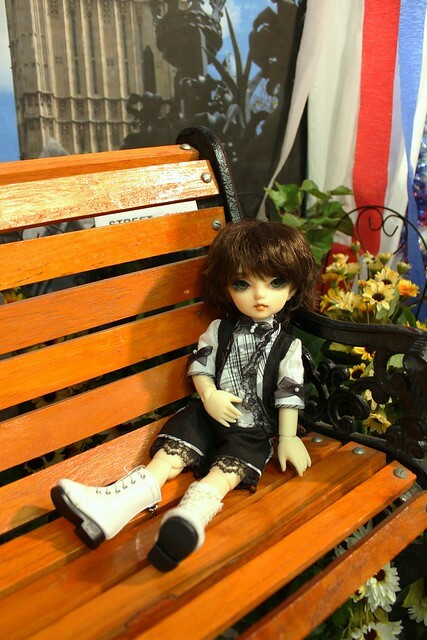 This entry was posted in BJD Misc, Volks Super Dollfie and tagged Kakeru, Sora, yo-SD by archangeli. Bookmark the permalink. He’s such a handsome little guy! And he’s so fortunate to get to go on a trip! 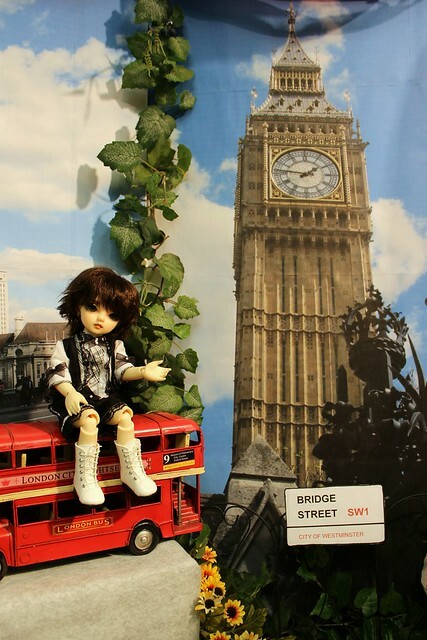 XD Wanna pinch his cute little cheeks hahah!